After Goliad State Park we stopped by what is left of the Mission Nuestra Senora Del Rosario State Archaeological Site. You can see more of the site on Google than you can by actually going because there is really nothing left. 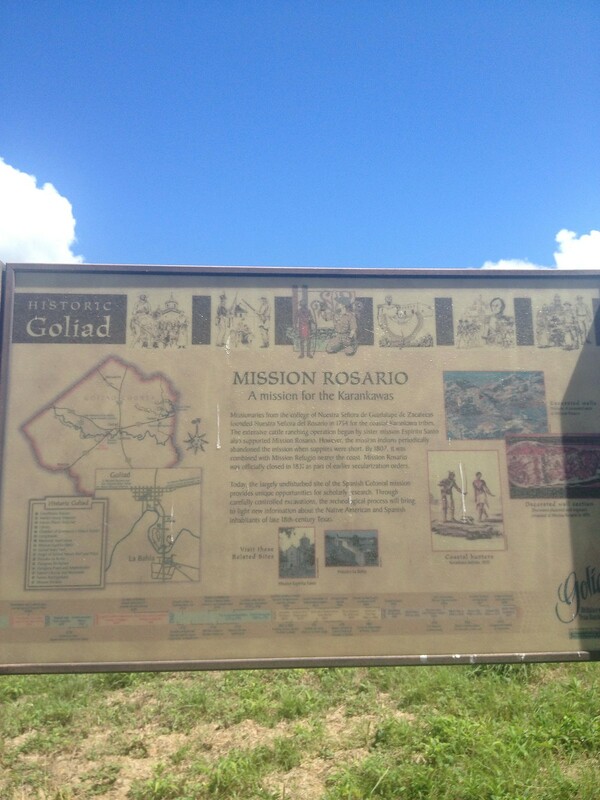 As far as the park rangers at Goliad knew there are no plans to restore Mission Rosario at this time. Missionaries from the college of Nuestra Senora de Guadalupe de Zacatecas founded Nuestra Senora del Rosario in 1754 for the coastal Karankawa tribes. 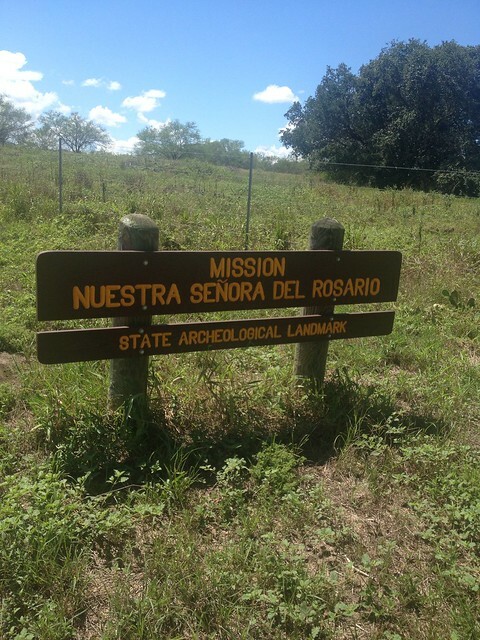 The extensive cattle ranching operation begun by sister mission Espiritu Santo also supported Mission Rosario. However, the mission indians periodically abandoned the mission when supplies were short. By 1807, it was combined with Mission Refugio nearer the coast. 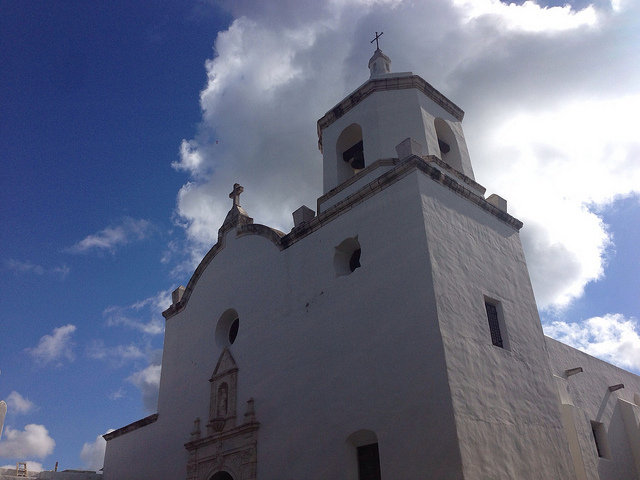 Mission Rosario was officially closed in 1831 as part of earlier secularization orders. 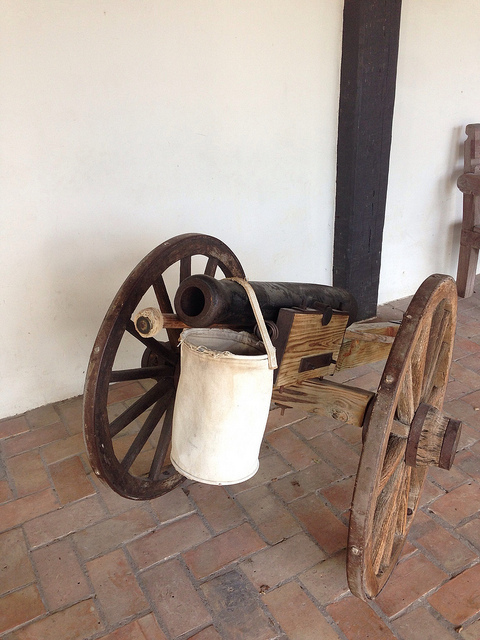 Today, the largely undisturbed site of the Spanish Colonial mission provides unique opportunities for scholarly research. Through carefully controlled excavations, the archaeological process will bring to light new information about the Native American and Spanish inhabitants of the late 18th-century Texas. If you are interested in getting behind the fence you must contact TPWD and arrange for an official visit. There is nothing to see so don’t go through too much trouble unless you are looking to do research.